As a huge basketball fan of both the college and professional level, I’ve always wondered what the criteria that NBA scouts follow when selecting who to draft. 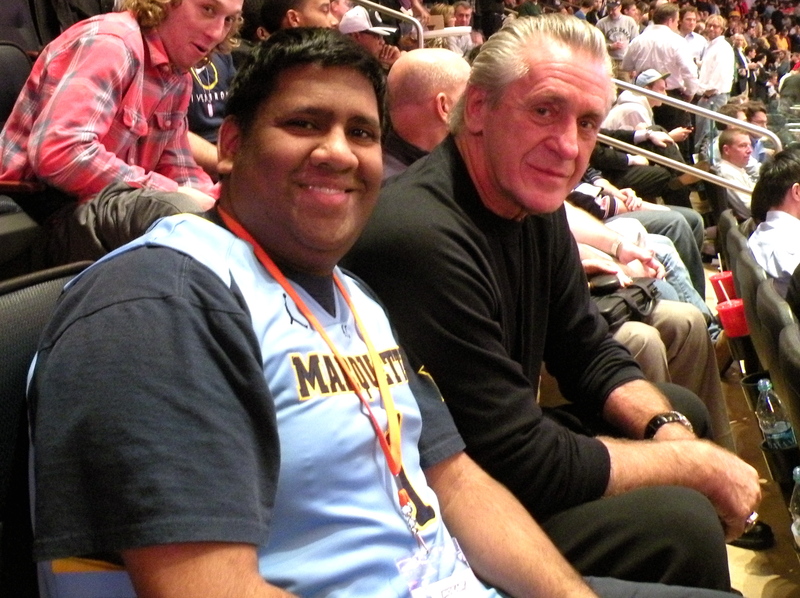 I was lucky enough to find the answer during the 2012 Big East Tournament in NYC when I found myself sitting in the same row as the current Miami Heat President and GM, Pat Riley. Yes, legendary Coach Riley was sitting next to me with his scout. For confidentiality purposes, I will not disclose who was being scouted but I will tell you that Coach Riley and his scout attended all the sessions of the games including the Marquette vs Louisville and Notre Dame vs South Florida game. 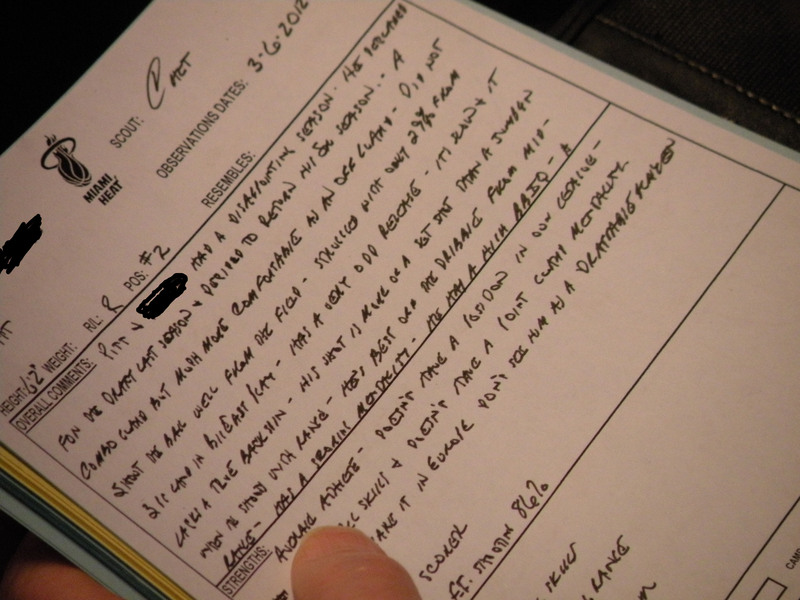 Each college player that was being scouted had a paragraph which listed their personal and game statistics. 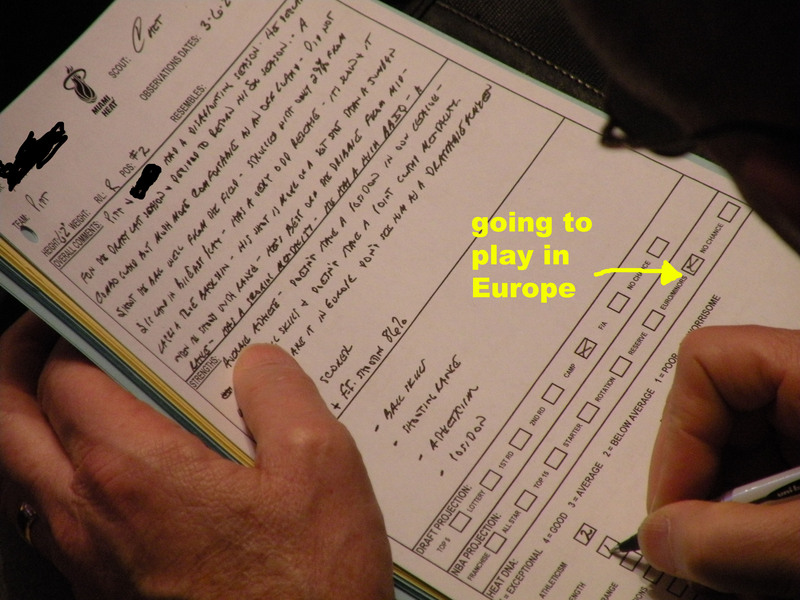 The form also indicated any personal accomplishments, for example if the player was Player of the Year. 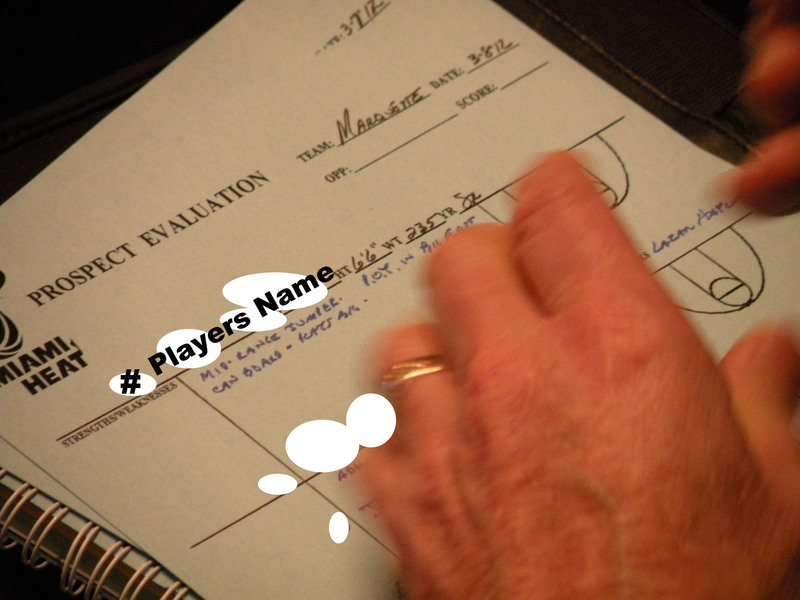 Finally, after carefully dissecting and critiquing the player, the Scout predicts the potential success of a player by marking his “Draft Position” and “NBA Prediction. 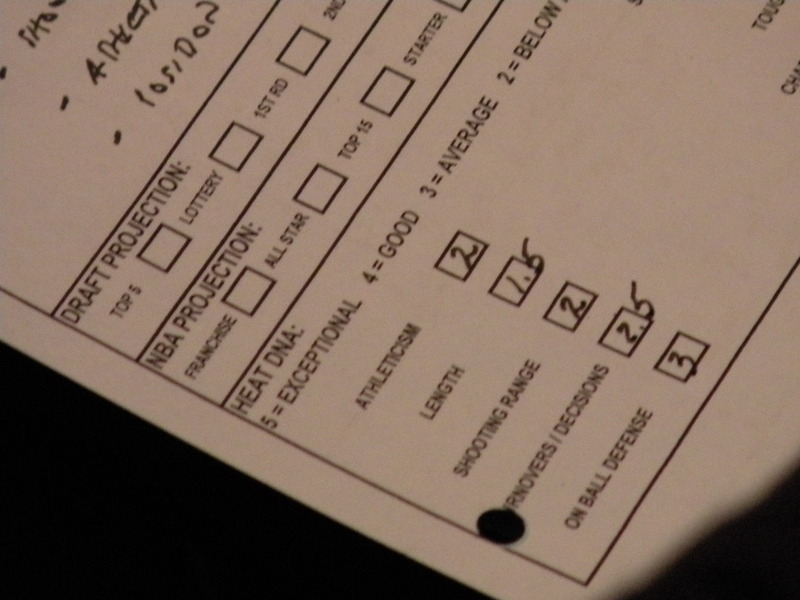 The player that was being evaluated did not get excellent remarks. 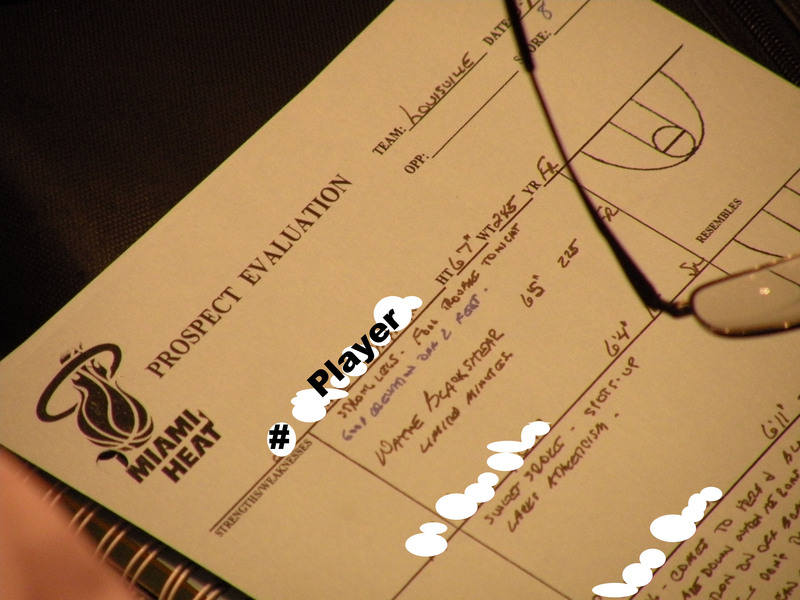 The Scout for the Miami Heat would not draft this player but He would invite him to camp. However, he believes that his skills would best be suited in “Eurominors,” which I’m guessing is Europe. As you can see, it’s tough to make it to the NBA but if you’re a college player, especially with March Madness tipping off, you better bring your “A” game because you never know who’s in the stands watching!